Chewy.com is like the Amazon of pet foods. Chewy seems to be the go-to place for parents of all types of pets, from reptiles to horses and everything in between. But is Chewy.com safe? Can you trust their products? We are here to help you navigate through Chewy's website. It can be overwhelming because they have so much to offer for so many pets. Take a look at our facts and see if Chewy.com has what your pet needs. Odds are, they have exactly what you have been looking for! Chewy is based in Dania Beach, Florida, but has warehouses across the country for ultra-fast packaging and shipping. In fact, Chewy prides itself on its ability to get you your pet goodies shipped the same day, as long as you order by 4PM. The company’s 800+ employees work hard to guarantee the freshness of each product and supply only the best products for any pet. And, Chewy offers almost anything you can imagine for your pet, including carriers, grooming supplies, toys, and food made with premium ingredients. Chewy customers claim that it is, hands-down, the best place to find the healthiest and cheapest d﻿﻿o﻿﻿g food online. Additionally, Chewy’s 100% guaranteed and hassle-free return process keeps them coming back for more! Chewy reviews from customers make some really big claims! And you know each one you read is a 100% honest review. Customers say it’s the best place to find cheap dog food online, with its various filters to find the perfect food. And, it ships fast, has an amazing return policy, and offers only the best products. Of course, I like to do my own research to see if these are valid claims so I can report to HerePup readers with the most accurate information. Chewy.com dog food has everything from dry dog food, can dog food, freeze-dried dog food, grain-free dog food, and more! What I found, I really love! I think it’s safe to say that Chewy provides customers with the perfect solution to shopping for their dog’s food online. I spent plenty of my own time browsing the website to get a feel for it, and I’m amazed by both its ease-of-use and variety of its products. And, it’s easy to see that Chewy does right by its customers. It has hundreds of Chewy pet food reviews on most of its dog foods. If customers did have anything negative to say about their shipment, like ruined packaging or dissatisfaction with the food, they are usually also quick to say that Chewy gave them no hassle in their returns for a refund! Needless to say, I’m completely impressed with this place. Let us look a little further into what I love about Chewy dog food. So, Chewy does not just worry about profiting off selling dog food and products. Instead, it actually researches the best brands to make sure it is selling only top-quality foods that dog owners love to purchase. I also really like the Chewy pet food reviews system. It does not cover up any negative reviews; all of them are on display. So, you can ensure you’re getting a completely accurate view of the food based on customer opinions, how dogs have reacted to the food, etc. Therefore, Chewy’s review process is highly trustworthy. It is comforting to know you are reading an honest review for whatever you are researching. Additionally, I checked out some business information for Chewy to give me a better idea of Chewy as an operation. I like to do this just to make sure that it’s a trustworthy business for you to be spending your money at. Trustpilot reviews of Chewy back up just about everything I have said. The customer service is exceptional, with Chewy even going as far as to send personal cards to dog owners wishing them good health for their pets! I also checked with the Better Business Bureau, and Chewy has been accredited since 2012. And it has an A+ rating with 100% positive customer review ratings. Awesome! Chewy.com dog foods include a variety of brands you can trust. 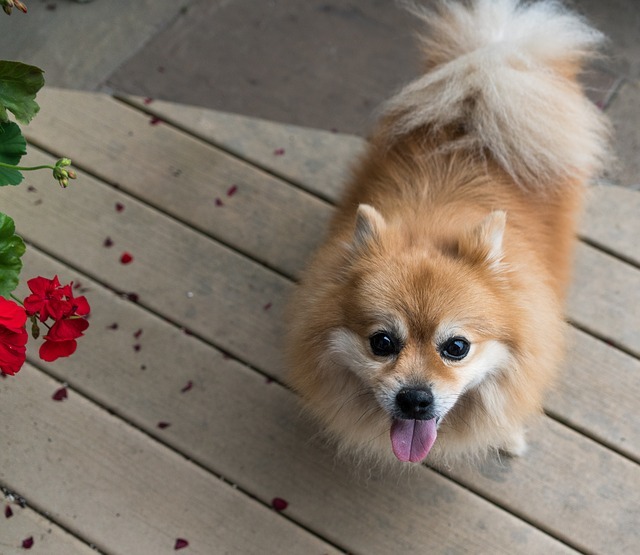 Whether you are looking for a can dog food or dry dog food, you can be sure ​that they include quality ingredients like chicken, vegetables, and more to provide your dog the best nutrition. Small breeds or large breeds, puppies or adult dogs, Chewy dog food has something for you. That is what I love most about Chewy. They have something that will work for any dog and pet that you know is high-quality. Personally, I can’t find anything negative to say about Chewy, so I won’t try to. Instead, I will summarize a few of the negative customer reviews I have found about Chewy. One customer provided a complaint on the BBB website about her damaged cat litter packaging from Chewy. The box had come open, and the cat litter spilled out, leaving it unusable. However, Chewy responded to the complaint, saying that it replaced the damaged litter at no cost to the customer and filed a complaint with the delivery company for the damage. A few other complaints have mentioned discrepancies with discounts and pricing. For example, a customer found an advertised 20% off discount that was unusable on the type of pet food she purchased. Chewy responded that the brand she ordered was not eligible for the discount, as per request of the brand, but she can still use it for eligible brands. To summarize, it seems like Chewy is extremely willing to make its customers happy while still keeping positive relationships with the brands it sells. Chewy does its best to fix any issues that cause dissatisfaction to its customers quickly. So you know if something unexpected happens to your order, Chewy will do everything they can to help you and make sure your pet gets what they need. Product Line: What Does Chewy Offer For Dogs? Seriously, anything you could possibly need or want for your dog, you can find at Chewy.com. Chewy Reviews: What Do Customers Say? Customers do not have many negative things to say about Chewy.com. Looking at reviews on Chewy and about Chewy on other websites, it is clear that most customers have a high satisfaction with Chewy and will continue purchasing from the company. Customers also rave about Chewy’s auto-ship policy, which makes it easy for them to stay stocked up on everything they need for their pets. 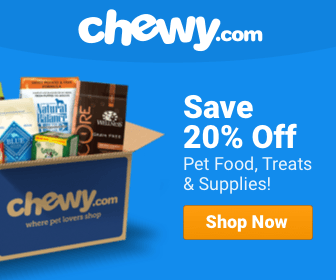 Chewy is a one-stop shopping place for all your dog’s (or other pets!) needs. 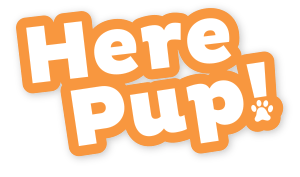 This website has a variety of foods and supplies, so you will rarely need to look elsewhere for your dog. Chewy ensures that what it sells is worth selling. It stands behind the products it sells, which is clear in its informative YouTube videos of products. The company works to get you what you need fast, and with hassle-free returns, if needed. And it employs only pet-lovers who will work to give you what your dog needs to keep you coming back. I am thoroughly impressed with Chewy and I encourage you to check it out. Visit the website, read about the company, and spend some time using the filters to find exactly what you need. Guaranteed, you’ll love it as much as I do!